Early last year I decided to add an additional team to my stable of baseball teams that I follow. The addition of a new team into the stable is not something that is taken lightly and a variety of factors are involved in the process in order for a team to be determined worthy. 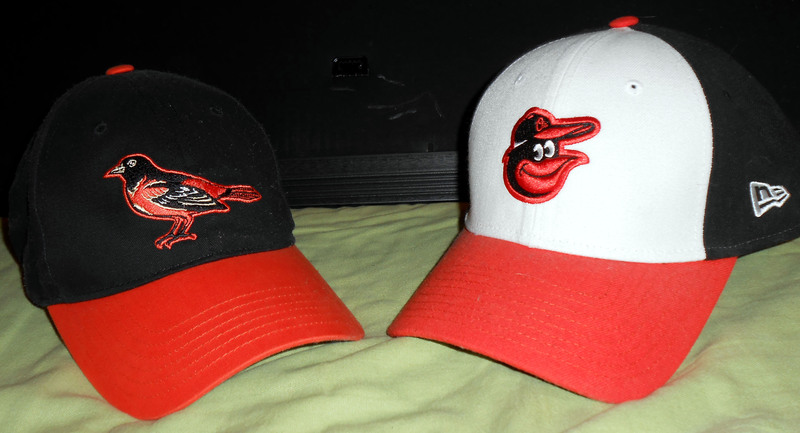 At the time of the decision to expand, my stable included the Baltimore Orioles (added in 1980), the Tampa Bay Rays (added in 1998), the Houston Astros (added in 2000), and the Washington Nationals (added in 2005). Each of the teams represented areas where I had either previously lived or had a history with following. While the logo has changed, thirty three years later the Bird is still the word and the Baltimore Orioles still are the longest tenured team in the Stable of teams I follow. I still follow the Atlanta Braves and Florida (Miami) Marlins for sentimental reasons but they were considered on the outside of the core four teams. Despite their two World Series titles, and the history of me following them since their first year in 1993, the Marlins fell from prime stable positioning a few years ago after years of inept decisions by ownership that led to repeatedly fielding a non-competitive team. That is not to say that winning is everything, I just want to know that ownership is making an effort to field a competitive ball club year after year. Astros you have been put on notice as well. As I mentioned, one of the criteria for selecting a team to admit into the stable is historical attachment to the team through living or traveling frequently to their home base. 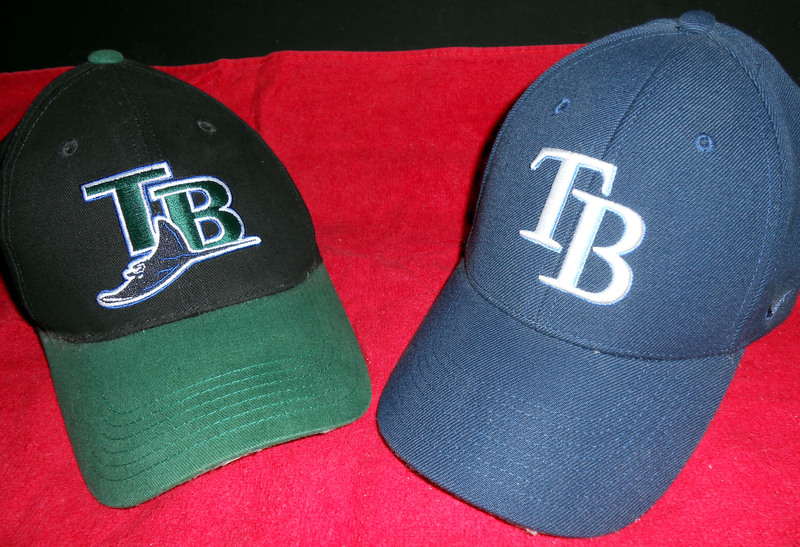 While once Devilish, The Tampa Bay Rays are the second longest tenured team in my stable of baseball teams. Over the past few years I have traveled extensively in and around the Dallas area; including Arlington and Frisco. For those who may not be familiar with those areas they are home to the Texas Rangers and the Frisco Rough Riders, the Rangers’ AA affiliate. During many of my trips north I would find myself at one of the two ballparks, or watching games in the hotel during downtime. As the trips grew more frequent, so did the exposure to the Rangers to the point that I started watching Rangers games back home in Houston when the Astros were not on. So, after careful consideration I decided that, while I consider certain Rangers’ fans to be some of the rudest people I have ever encountered in a ballpark, the Rangers had many pros that made them worthy of stable inclusion. A new century, and a new team. 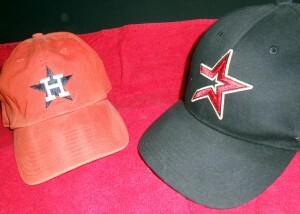 The Houston Astros joined the stable in 2000. The pros included proximity, Nolan Ryan, and Josh Hamilton. It was also decided that with the Astros in the National League and the Rangers in the American League I could easily follow both teams in the same way that I followed the Nationals and the Orioles since they were in the National and American Leagues respectively. 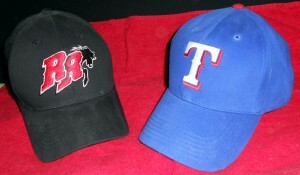 So, in 2012 the Rangers were officially added to my stable. While there was not an official ceremony or military flyover the day was marked with the purchase of a Rangers hat and t-shirt during one of my trips up to Frisco. Shortly after the stable inclusion, one by one the carefully met criteria that allowed the Rangers in began to crumble. 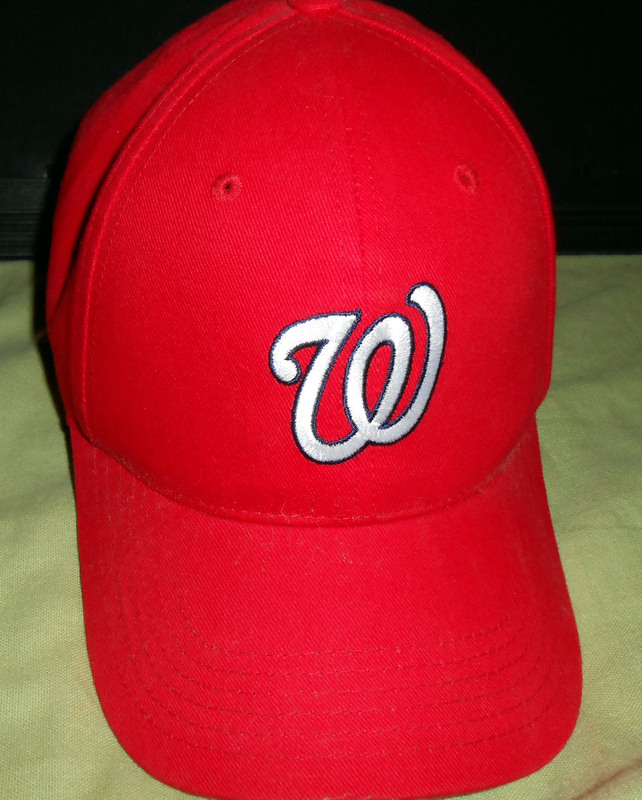 The Washington Nationals joined the stable once they were exported from Montreal in 2005. It was announced that not only would the Astros be moving to the American League, they would be moving into the same division as the Rangers. This meant they would face each other repeatedly in head to head battles beyond the yearly Lone Star interleague series. I already had the Orioles and the Rays in the same division and the heartburn that gives me each year on who to pull for more when it comes to playoff time often has me reaching for the Pepcid. 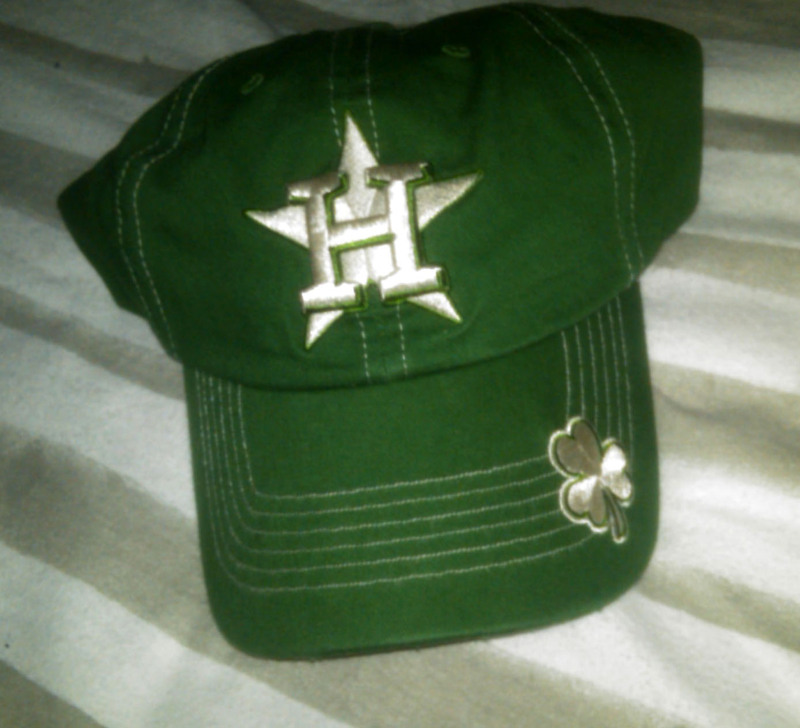 I quickly came to terms with the fact that most analysts believe it will be years, if not decades, before the Astros are competing for the playoffs in the American League so I will have time to build up a plan for which team to root for more when the pennant races roll around. The next obstacle to overcome for the Rangers to remain in my stable was the loss of Josh Hamilton to the Angels during free agency. While I know that players come and go with great frequency, it really seemed like Josh Hamilton was one of the faces of the franchise for years to come and was one of the good guys that one wanted to see succeed based on the personal demons that he had overcome. Ok, so no Josh Hamilton, no problem. At least they still had Nolan Ryan who by many accounts is the epitome of Texas baseball and has a museum just down the road from Houston. While the Frisco Rough Riders were already in the Minor League stable their big brother joined the stable in 2012. Then a few weeks back it was announced that Nolan Ryan may be leaving the team that he helped purchase a few years back. While I would hate to see him go I know that Nolan Ryan will land on his feet if his tenure with the Rangers does end. Nolan’s loss alone, like that of Josh Hamilton, would not be reason enough to rescind the Rangers’ membership in my exclusive stable of teams to follow. So, the Rangers become the fifth team in my stable with their place firmly entrenched. Of course whenever they play the Orioles, Rays or Astros they will not be the team that I root for the most. I mean tenure in the stable has to count for something. Of course if they end up playing the Nationals in interleague play that creates another interesting dilemma since the Rangers were once the Washington Senators before leaving for the suburbs of Dallas in 1972. 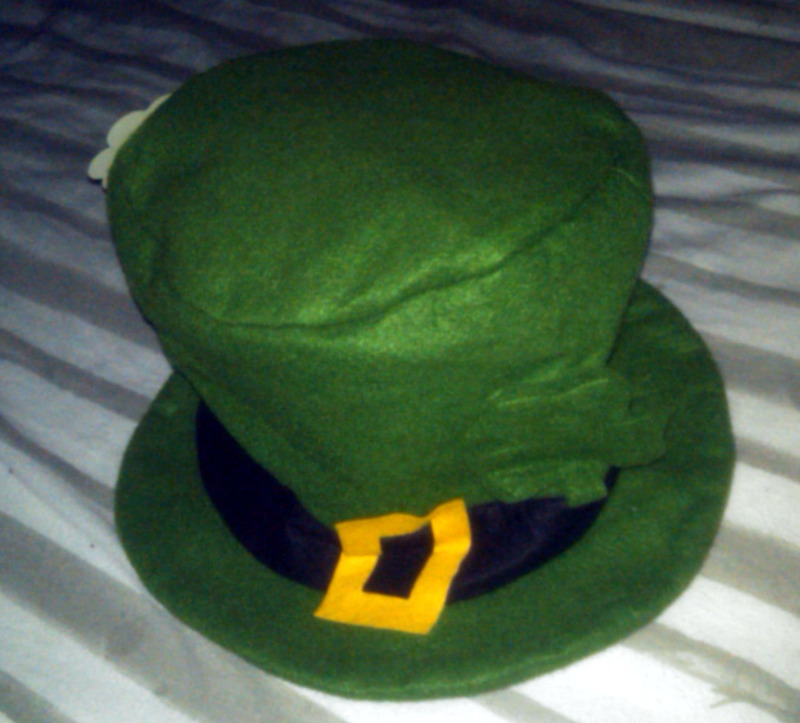 I guess who to pull for in that pairing of D.C. past and D.C. present will be another decision for another day. This brings us to this Sunday and the start of the 2013 Major League Baseball season. The Rangers and the Astros will face off in a nationally televised game to kick the season off. I am sure there will be a sellout crowd at the game. If past games between the two are to be any indication, the mix at Minute Maid Park will be about 60 percent Rangers fans, 30 percent Astros fans and 10 percent Texans fans (Seriously, the number of people who wear football jerseys to baseball games amazes me). I haven’t decided for sure which jersey I will sport at the game. I am leaning towards the Astros even though I am fairly confident that the Rangers will prevail. 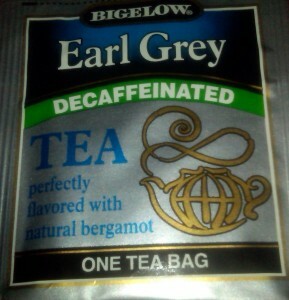 Now if you’ll excuse me I need to review another stable application that just came across the Triple B news desk. After all, if realignment has taught me anything it is that even numbered divisions are much easier to manage than odd ones. As the 30 Major League Baseball teams make their final cuts this week to get down to their 25-man active roster there will likely be tears of joy as well as sadness depending on which side of the cut a player is on. For every player who is told that they made it, there are many more who will start the season in the minor leagues. For others, the dream will end altogether as they realize that their professional baseball careers are over altogether. 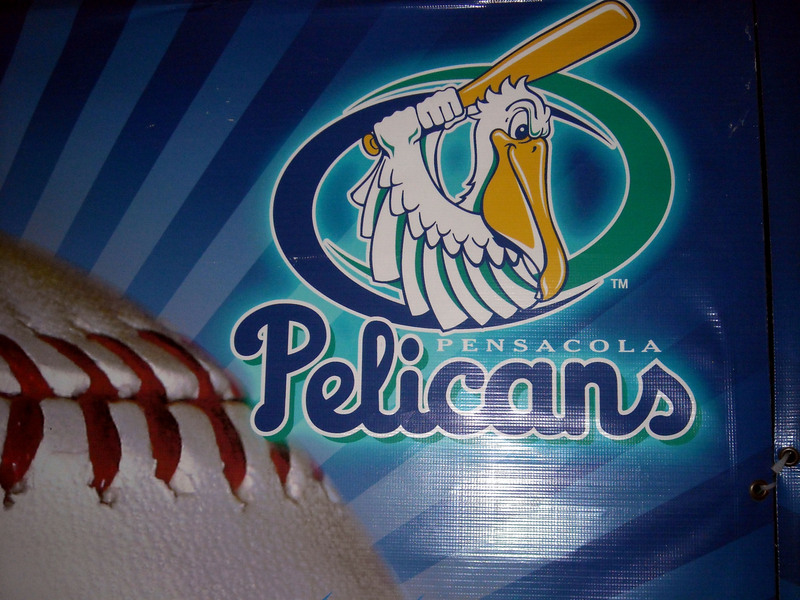 The Pensacola Pelicans are a former independent baseball team where players would try to prolong their careers. Of course getting cut by a MLB team does not have to be the end. Many players try to extend their careers through playing overseas or for one of the many independent baseball teams around the country. The motivation for not wanting to call it a career and give up on the dream can be easily understood when one considers that for many of these players baseball is all they have known since they were old enough to hold a bat and wear a glove. The decision to continue their careers in the independent leagues can be a financial burden for many players who never made it to the Major Leagues. One aspect of many independent leagues involves finding host families where the players can live rent free during the season since many of them are making less than minimum wage to follow their baseball dreams. Two stories that recently broke involving players associated with an Independent baseball team down the road from me prove that the dream can continue after the road most taken ends. 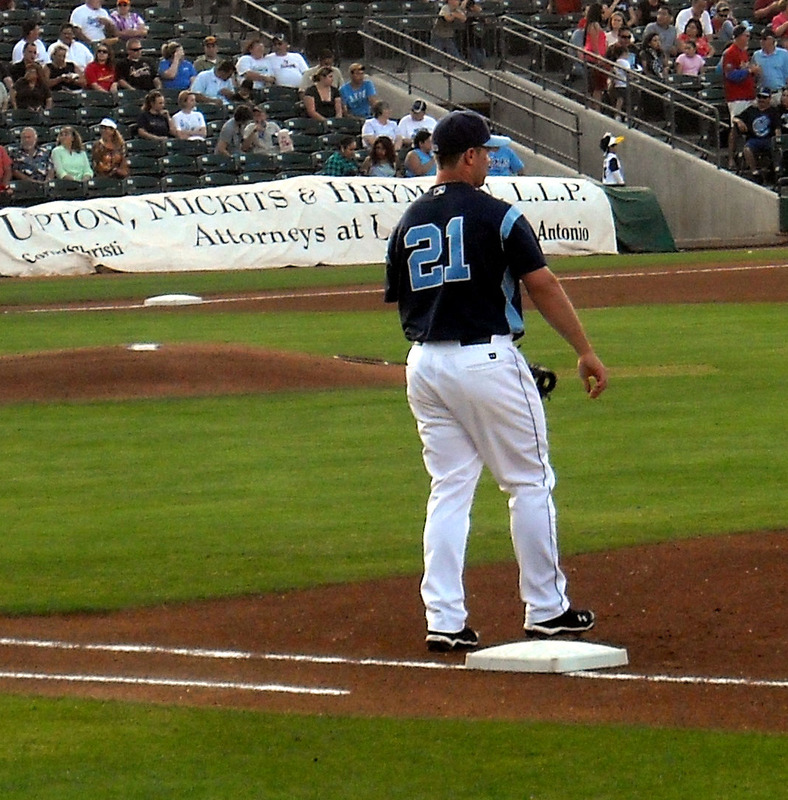 Let us consider the curious cases of Scott Kazmir, Koby Clemens and the Sugarland Skeeters of the Atlantic League. 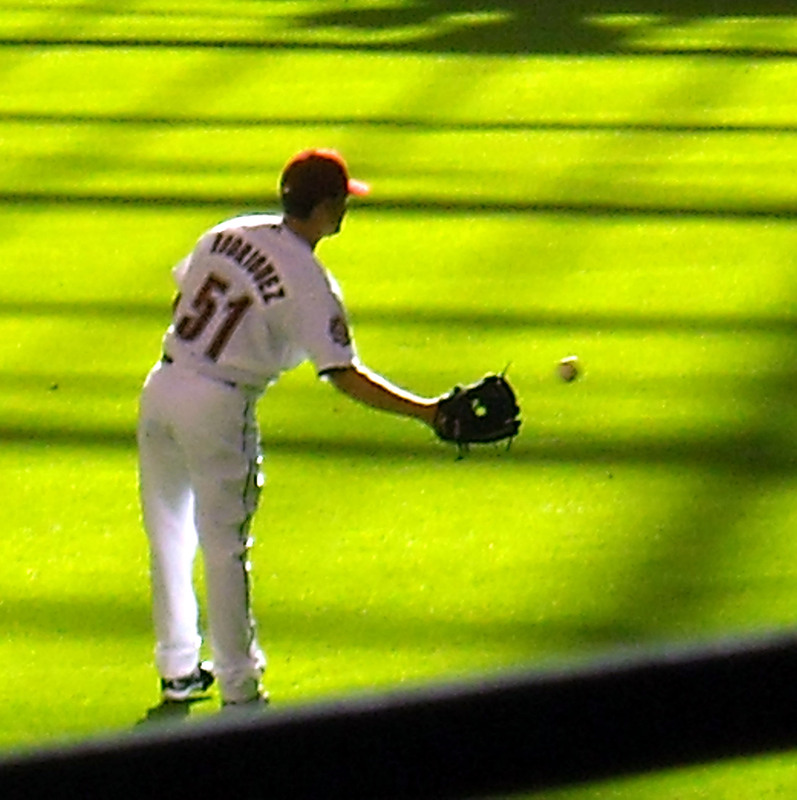 Kazmir was recently named the Cleveland Indians’ fifth starter entering the 2013 season resurrecting a career that had seemed doomed after control problems derailed his Major League career in 2011. As a member of the Tampa Bay Rays during the 2008 World Series he was a dominant ace. Shortly after that Kazmir’s fall from grace was swift and painful to watch when he collapsed following a trade west to the Angels. After being out of the show for a few years, and still considered a relativity young pitcher at only 29 years-old, the Houston area native and former American League All-Star looked to revitalize his career as a member of the Skeeters last season. He started 14 games with Sugar Land, going 3-6 and collecting 51 strikeouts in 64.0 total innings pitched. The performance with the Skeeters, as well as time spent in Winter Ball, gave Kazmir an invite to Indians Spring Training where he was 1-0 with a 3.46 ERA with 13 strikeouts in four games. Whether that return to form will last over the course of the season remains to be seen but what is known is for the first time since 2011 Scott Kazmir will be on a Major League opening day roster. The case for Koby Clemens finding redemption and another shot at Major League glory through the independent route is a little hazier. Koby, son of Roger, has bounced around the minor leagues since being drafted in 2005 by the Astros. 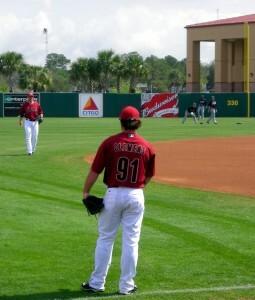 Aside from being invited to Major League Spring Training once, he has not advanced beyond AAA ball. After eight years in the minor league farm system of the Houston Astros and Toronto Blue Jays Koby Clemens has landed with the Sugarland Skeeters of the Atlantic League. Drafted as a catcher and spending time as a first baseman and third baseman the tools just have not been there to earn a look at the big league level. Koby did catch in one game last year for the Skeeters when his dad was on the mound. It was recently announced that he will be the team’s full time catcher this season and he will try to regain some of the confidence behind the plate that first had him drafted eight years ago. Time will tell whether the detour to independent baseball will help prolong and perhaps kick start Koby Clemens’ career the same way it helped give another chance to Scott Kazmir. The odds would say that Clemens will become just another statistic and victim of a system where only a select few ever excel, but one never knows. When I was in high school I had a friend who was a star pitcher on the school baseball team. The team made it to the state playoffs my junior year. The following year it was not uncommon to see various pro scouts in the stands. Although he never made it on the 25-man roster, Koby Clemens did get invited to Spring Training once with the Astros. Setbacks on the field as well as off the field led him to bounce around the Minor Leagues for 10 years until finally calling it a career without so much as a cup of coffee in the show. There are thousands of players just like my friend who seek the bright lights of big league ballparks only to find their dreams cut short. Many will bounce along as long as possible chasing the dream until the realities of life and family commitments lead them to a more steady form of work. I lost track of my friend a few years before the end of his career but would still follow his career whenever I saw a blurb on one of the Minor League sites. I hope he is doing well for himself and that he landed on his feet after he hung up his glove for the last time. Now if you’ll excuse me I think it is time to order some Skeeter tickets. In this age of instant messaging, e-mail, twitter and other ways to communicate at the speed of light it may come as a shock to some of the younger Triple B readers that there was once a time when correspondence was not handled as quickly. Instead, when you were at that ball of twine, and you wanted to let your friends know how much fun it was, you had to buy a postcard and actually place it in something called a mailbox. Your friends would than receive the postcard, and your thoughts on the ball of twine in a few days. One of the postcards my pen pal from the plane sent me. Yes, I know mailboxes still exist and based on what comes in mine they tend to be a conduit for junk mail and bills alone. As such I now only check my mail a couple times a month since there really isn’t anything worth reading that would require me to check it any more frequently. Still, I find myself feeling a bit of nostalgia for the written word and the simple act of receiving a post card through the mail. Part of this nostalgia was the result of looking through my postcard collection the other day to help remember the name of somewhere that I went on vacation many years ago. 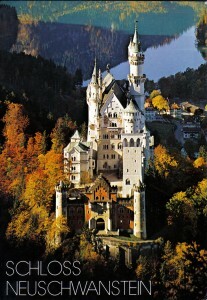 I ended up finding that postcard and my memory was jogged. Looking through the box other memories were jogged as well. Many of the postcards in my collection were sent to other family members before I was born and were just passed down to me but several are actually addressed to me as well. One particular series of cards was the result of a chance encounter. When I was in the second or third grade my mom and I were on a flight from Washington D.C. to Orlando. There was an older gentleman in the row with us (of course when I was that age everyone was older so my memory of how old he really was may be warped). As it was a relatively long flight we ended up making conversation with him and he mentioned that he did a lot of traveling as part of his work with the Army. I do not recall the whole scenario of how it occurred but addresses were exchanged and he mentioned that he would write me. 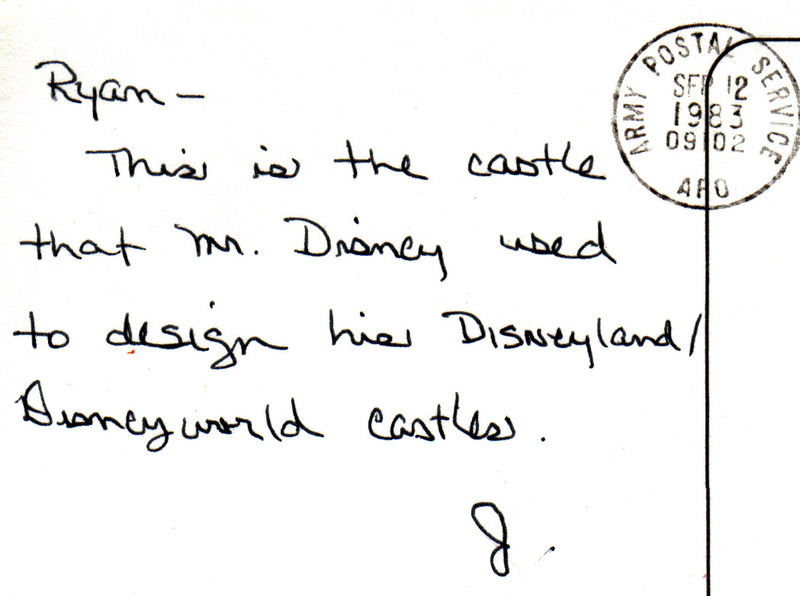 The postcards did not always include a message but this is typical of the type of message when they did. Now, in this more jaded world that we find ourselves in now the chances of a stranger getting the address of a young child under the guise of sending correspondence would probably be less likely to occur. I for one have become way more suspicious of people’s intentions the older I get. While it is certainly good to be skeptical and careful of surroundings and those that enter them, I sometimes wish that I could see the world through younger me’s eyes where the world was a far less scary place and the only thing I needed to worry about was which pair of pajamas to wear. A few weeks after returning home I got my first postcard from the man on the plane. 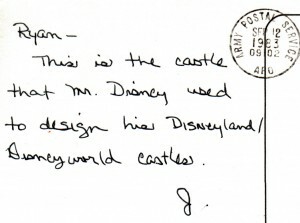 The postcards continued for several years and always included a short note about the destination included on the front. The cards stopped one day which could have been the result of many factors including the forwarding address feature no longer working or perhaps the man behind them was no longer able to send the cards for whatever reason. While I do not remember his name, I do remember the simple act of sharing postcards with a wide eyed child and the affect that had and continues to have. I have no way of knowing if that man on the plane is even still with us. If he is, I hope that he is well and is still able to take those wonderful trips that sparked my imagination. 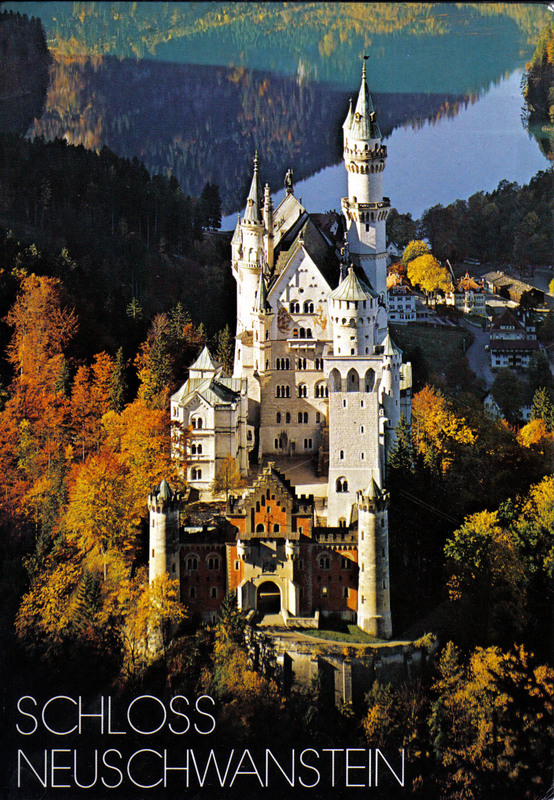 But those postcards, as well as the others I received from friends and family, helped me see parts of the world that were harder to see in the pre internet days and certainly helped nurture my love of traveling. I often think about other chance encounters and people who come into our lives for a brief moment and the affect that they have on us. Had my mom and I been seated in any other row on that airplane I would not have received the postcards. 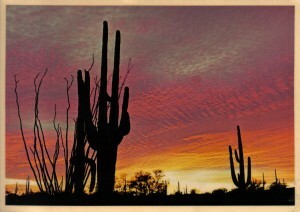 Some 30 years later I still fondly recall the postcards from my pen pal. Tweets and e-mails will not hold up as well through the decades I imagine. When I was in Journalism School I had a professor that assigned us a project to go to the food court at the mall and people watch. The point behind the assignment was to observe the various interactions of people and imagine various scenarios as to what brought them there. To this day I still enjoy people watching. The next week the same professor assigned us to go back to the same food court and find a stranger to interview. The point of the exercise being that everyone of us has a story to tell. The trick is to know the right questions to ask to get the ball rolling. While the memory of the man on the plane will probably not make me any less cautious than I am since the world today is so much different than it was all those decades ago it is still a nice memory and shows that we all do have stories and the key is to just be open to hear them. Of course a healthy filter and the ability to know when people are being sincere versus when they are blowing smoke never hurts. Now if you’ll excuse me I think I am going to find a food court and see if my interview skills are still as sharp as they once were. I am a big fan of most types of music. I am not really sure if there was a eureka moment that made me such a lover of music or if it was a more gradual exposure and realization. Whatever the reason behind it, the music bug has certainly stuck. I worked as a music critic for several years and there was nothing quite as fun as getting that big package of CD’s from the record company each week. Some of the music was good and some was definitely not. But those packages from the record label definitely exposed me to music that I might not otherwise have discovered. I am also a firm believer that music needs to fit the environment to be the most effective. Otherwise, the music can be a distraction and take away from the experience. 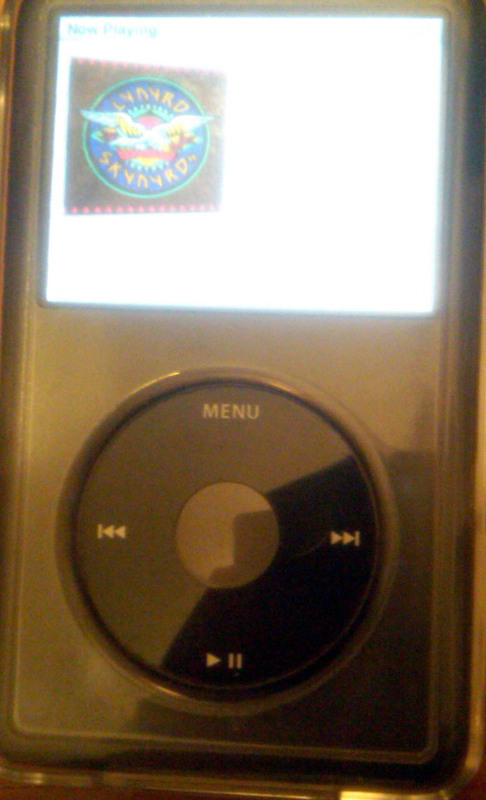 When I am listening to my iPod I have certain playlists for certain moods. There is the fast working out list, and the unwinding at the end of a long day list, etc. Like Walkmans before them, iPods allow people to take their music with them wherever they go to set the perfect mood. I love going to hear the symphony, although I don’t get to do it nearly as much as I would like. And of course I also enjoy going to sporting events. Each of those areas have their own type of music that people expect when they go there. When I am at the symphony I want to hear the brass and the strings. When I go to the game I want to hear the organ playing “charge.” Try to picture the reverse and it just doesn’t fit. The same goes for one’s experience in a restaurant. While I don’t think that every Italian restaurant needs to play a constant loop of Frank Sinatra songs as many seem to do, I agree that there is certain music that helps fit an Italian atmosphere. The same can be said for Mexican restaurants. There is a certain Mexican restaurant that I frequent at least once a week that plays authentic Mexican music. As an added bonus at Christmas time they even play Mexican Christmas carols. Does the fact that they play Mexican music alone make their food taste better than a restaurant that plays easy listening? No, of course not. But by paying attention to the little details like choice of music it makes me think that they are paying more attention to details in the kitchen as well. Speaking of easy listening, one of my biggest pet peeves are restaurants that phone it in by playing the easy listening radio station instead of a CD or other playlist or satellite music service. By simply turning on the radio and allowing commercials for their competitors to be potentially played in their own establishment it shows a lack of attention that causes me to wonder about what other corners they may be cutting. To be fair not every restaurant that plays the radio is guaranteed to have bad food but they are taking away a part of the diner’s experience. There is a local Pho restaurant that I enjoy going to that plays the easy listening station instead of more traditional instrumental music, like one would find at many other restaurants of the same type. Every time I am there and here the soft rock classics it distracts me from what I feel I should be hearing while eating that type of food. Musical faux pas in restaurants are not limited to the piped in music variety either. I have recently rediscovered my love of live, local music. Fortunately for me, there is no shortage of venues nearby that provide that. Over the past few years teams such as the Tampa Bay Rays have added post game concerts to the fan experience. Name a genre of music and chances are there is a barbecue joint, coffee house or other establishment nearby that has a band performing that type of music. As a cautionary tale though, just because a restaurant has a stage it doesn’t mean that the music being played there will compliment the meal. Case in point, while eating a delicious Greek salad and gyro plate last weekend at a Mediterranean restaurant I was serenaded by a one man band playing various James Taylor and John Denver tunes. The man did a very good job on the songs and I was quite scared by how many of them I recognized. But, the east meets west food versus music combination hit some sour notes and left me far from being on a rocky mountain high or being in the mood to shout Opa!. So, perhaps this stance makes me a music snob and one could argue that music is music no matter where it is played and food is food. Hard to say, what I do know is the affect music can have on me and the more the environment and the music compliment each other the happier I am. Now if you’ll excuse me I need to go call my parents and let them know where they can hear some John Denver tunes while eating some Gyro. In a little under two weeks the 2013 Major League Baseball season will officially begin with the prime-time Easter Sunday showdown between the Texas Rangers and the Houston Astros at Minute Maid Park in Houston, Texas. 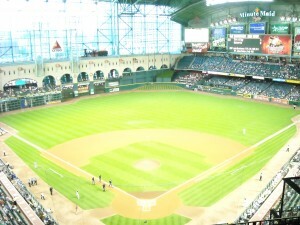 Minute Maid Park will be the site of the first game of the 2013 Major League Baseball season. Ever since I bought my ticket to that game I have found myself with a little spring in my step knowing that soon the games will count for real. I guess it is not to say that Spring Training does not count but there is certainly a difference between the validity of a Spring Training record versus a regular season record. Another factor that has me ready for the start of the season is the historic aspect of being present for not only the first game of the season but also the first game for the Astros in the American League. 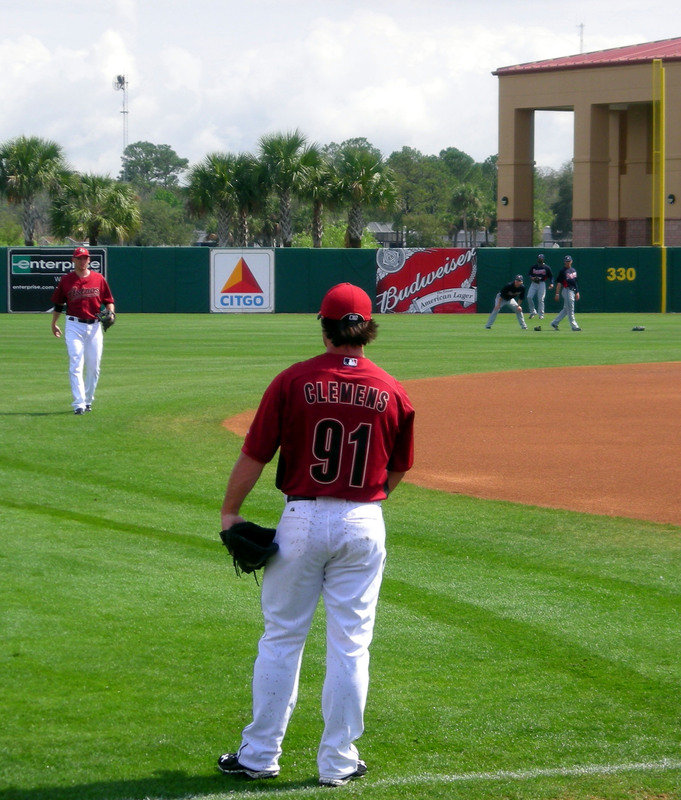 So with all of the excitement one might even say I have a fever for baseball. The fever got me thinking about a classic Saturday Night Live skit involving Christopher Walken. In the skit Walken plays a music producer who has a fever and the only cure is more cowbell. Throughout the skit Will Ferrell runs around like a man possessed banging his cowbell all over the sound stage to the dismay of his band mates. 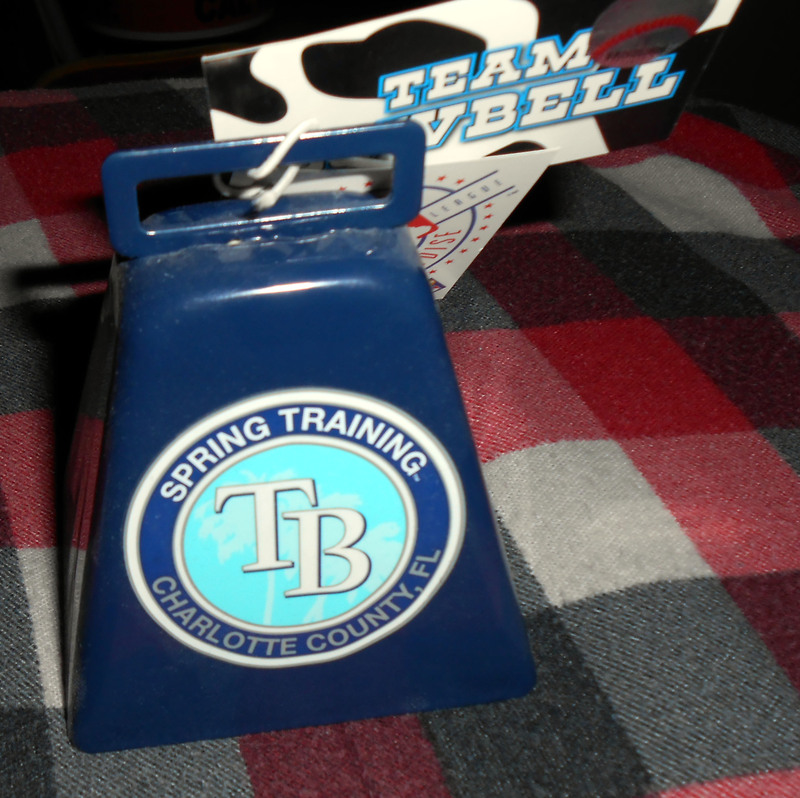 With the baseball season approaching I am in the mood for more cowbell. If you have never watched the skit I highly recommended you do so if for no other reason than to watch one of Jimmy Fallon’s many times that he broke character and laughed during a skit. Inspired by the skit, teams soon made sure that cowbells were available in the various gift shops for fans to make sure they get into the spirit. Of the ballparks that I have visited I have to say that Tropicana Filed, the home of the Tampa Bay Rays, is the most cowbell frenzied one. 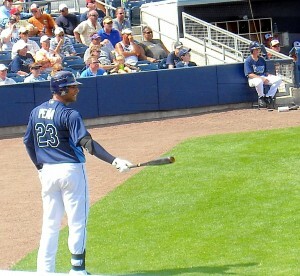 While the Rays often rank near the bottom each year in terms of attendance one cannot deny that the fans who are there definitely make some noise and that noise is often fueled from cowbells. 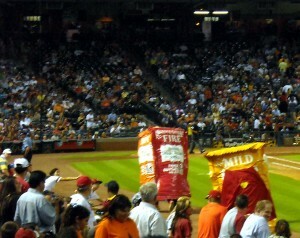 What can I say there is just something fun about thousands of one’s closet friends clanging on the cowbell in unison. Fred Schneider of the rock band The B-52’s is definitely someone who enjoys more cowbell as demonstrated during a concert at Tropicana field. But like everything in life there is a time and a place for the cowbell. The most appropriate times to ring the cowbell are when a pitcher has two strikes on an opposing batter, the home team player reaches base or scores a run, and of course whenever one is prompted to do so by the stadium announcer or visual cues. 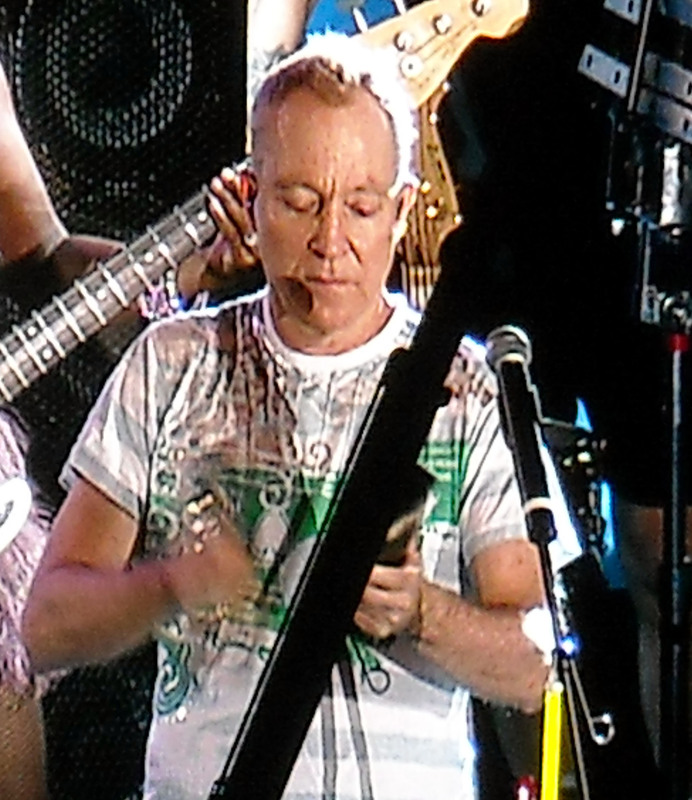 Of course another time for cowbell in the ballpark is when the B-52s are in concert there. That was the case during my first visit to Tropicana Field. For those unfamiliar with the band, they do enjoy their cowbell as well. So hopefully the thoughts of baseball and cowbells have you pumped for the start of the season as well. Now if you’ll excuse I need to make sure my cowbell is still in tune. And remember don’t fear the cowbell. Not too long ago, I decided I needed a quest to mark my place in history. A lofty goal I know but I have always been one that dreams big. So with my goal of finding a quest in mind, I sat down in a thinking position with pen and paper in hand, along with a cup of hot Earl Grey tea close by to try to come up with what my mark on society could be. 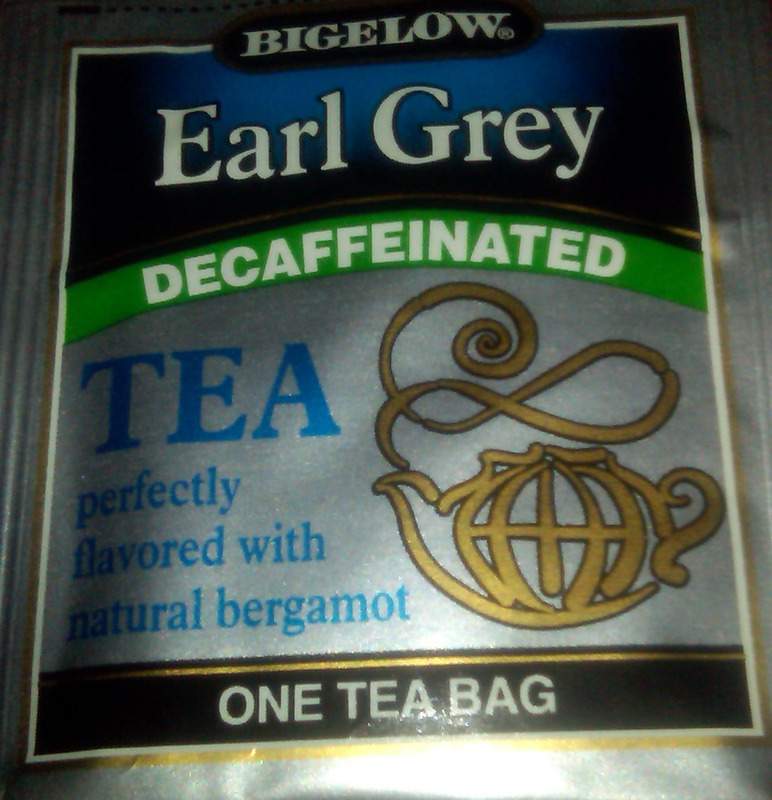 Just like Jean Luc Picard I do some of my best thinking when the Earl is involved. As I thought about quests, two people naturally came to mind; Bono and Oprah. While Bono’s quests are genuinely aimed at helping all mankind they really seem to be time-consuming and tend to happen in far away lands so I figured I would aim a little more domestically at seeking my first quest and try to look at what Oprah would do. Sadly, the more I thought about quests, the more I realized that Oprah seems to have a monopoly on look at me type endeavors. From giving people cars, to building schools in South Africa and hosting Legend’s Balls on her front lawn the woman really likes her quests. If one ever doubts her commitment to being known as a giver, one need only travel to the local newsstand where the media queen gives her readers a glimpse into her wonderful life each month on the cover of her magazine. Realizing my meditation on finding the perfect quest was going to require more than sipping tea in the thinking position, I ventured forth to the local Taco Bell to get the kind of nourishment only really cheap faux Mexican food can provide. Now, I have been known to eat my fair share of Taco Bell however I really don’t like their namesake food item. My dislike of the Taco Bell taco most likely stems from binge eating boxes of tacos back in college. Another factor in losing my love of the taco centers around the day I learned just what exactly they put in the tacos. But that is another story for another day. While I dislike the tacos, I absolutely love the bean burritos. So I normally get a bean burrito with whatever else I order. So while I was waiting to order, I realized that the bean burrito and the soft taco were the same price on the menu. With this realization in mind, I told the order taker that I would like to substitute a burrito for my soft taco in the combo meal. 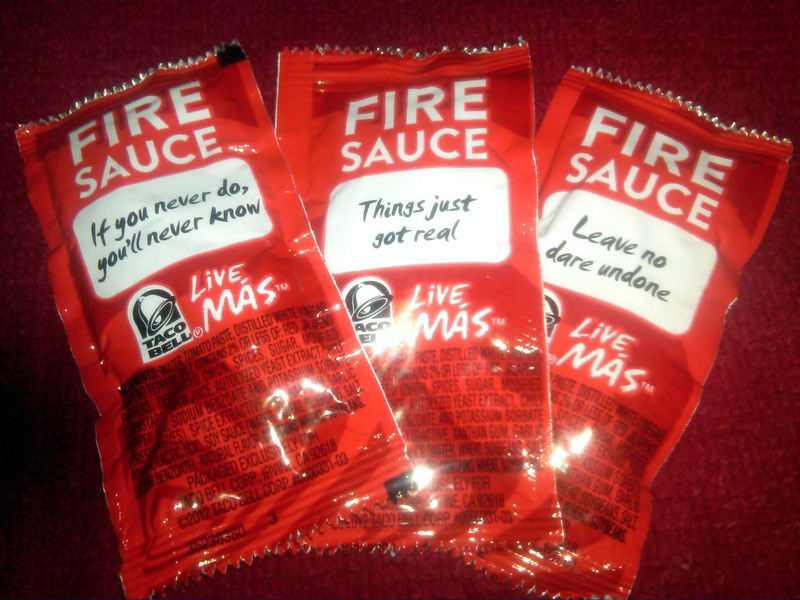 You can learn a lot from reading a sauce packet but you cannot swap a burrito out for a taco. At this point, the manager came up to see what the fuss was about and I offered her my very carefully reasoned out logical thesis on burrito versus taco combo economics. I could see that my reasoning was not getting through so I thought about what Oprah would do and raised my voice while repeating the same reasoning I had just stated using my indoor voice. So I left the line having planted the seed of civil burrito disobedience in a few brave souls behind me. So while I went in looking for lunch I left armed with a quest. I vowed that day to do all that I could to ensure the freedom of choice between soft taco and bean burrito. 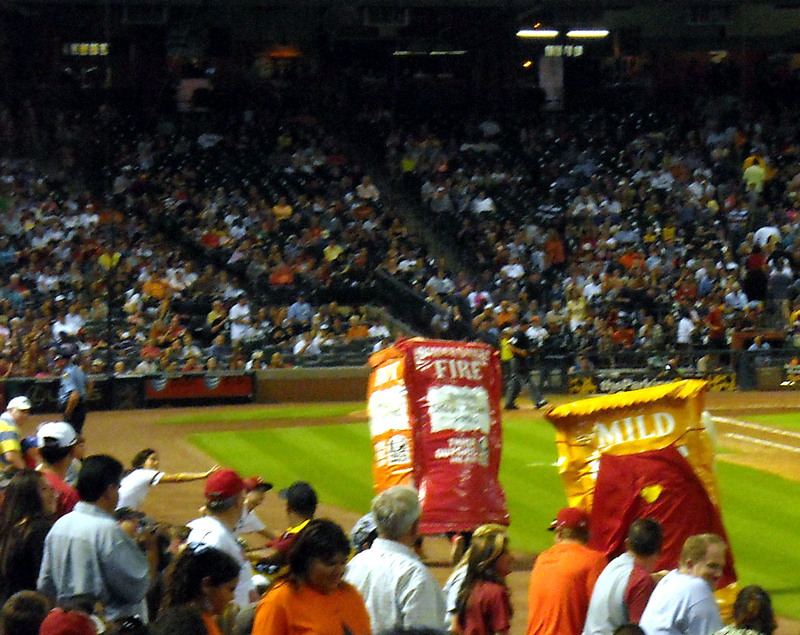 Racing sauce packets used to be a staple of Houston Astros games. I know the burrito movement will be slow and there will be some casualties along the way but I am committed to seeing it through to the end, or at least to the point where I get tired of eating bean burritos. So, let Bono have his quest to end hunger and global poverty and Oprah have her quest to basically brand everything with her likeness and show the world how important we all should think she is. At long last I have a quest. Granted it is not as far reaching as giving away cars, building schools, or hosting balls but everyone has to start somewhere. Who knows, maybe one of Oprah’s first quests was food related. Now if you’ll excuse me, I am off to do some more field research on my quest, I just hope Oprah doesn’t beat me to it and start her own chain of Oprah Bell. For as long as I can remember I have collected sea shells at the seashore. Big shells, small shells, in between shells, I enjoy all shells. There is just something about combing the shore looking for that colorful gift from the sea with the sounds of waves crashing on the shore in the background. While I enjoy shells of all shapes and sizes my particular favorite shell to seek is scallops. Scallops are one of my favorite types of shells to collect. I enjoy scallops broiled and buttered so I guess it makes sense that I enjoy collecting their shells as well. While many scallops can be rather plain, if one digs deep enough they can find many colors in the scallop rainbow. Another neat thing to look for when collecting shells are periwinkles. Periwinkles, like scallops, are considered bivalve, or hinged shells. Periwinkles tend to be more delicate than scallops and there are added bonus points if you can find the two halves still connected. I like to think that I have a good eye for finding shells by focusing on the scallops which tend to be larger I guess it makes them easier to find. Others I know have a zen like ability to hone in on the tiniest of periwinkles in the sand. Periwinkles at Fort Pickens Beach. 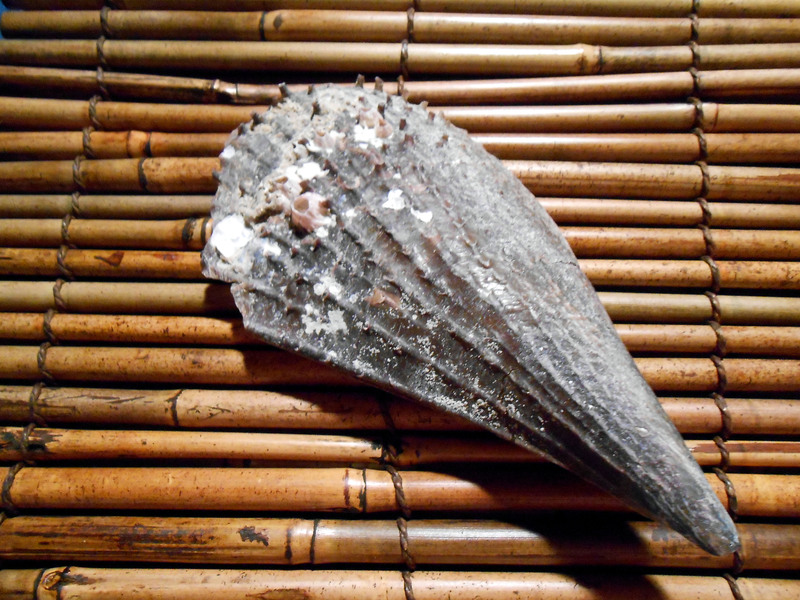 Another thing I enjoy about sea shell collecting is that there are no special tools required. I am sure that the people combing the sand with their metal detectors beeping at the slightest hint of metal find some hidden gems as well. But for me, the seashell is the only treasure at the water line that I need. And I can hear the sound of the waves crashing to the shore instead of a beeping in my ear when I am collecting seashells so that is certainly an advantage over metal detectors in my book. As I mentioned I have a long history with collecting and displaying sea shells. When I was in third grade I did a science project on sea shells. I recently found the report that I wrote that went along with the colorful poster board of the various shells along the Florida coast. Aside from marveling at how much better third grader me’s handwriting appears to be compared to my current lack of attention to penmanship, I found the report to be rather informative. Some of the bigger shells in my collection. Armed with a plastic shopping bag and a keen eye focused downward the avid shell seeker can scan the sand looking for the shells that speak to them. 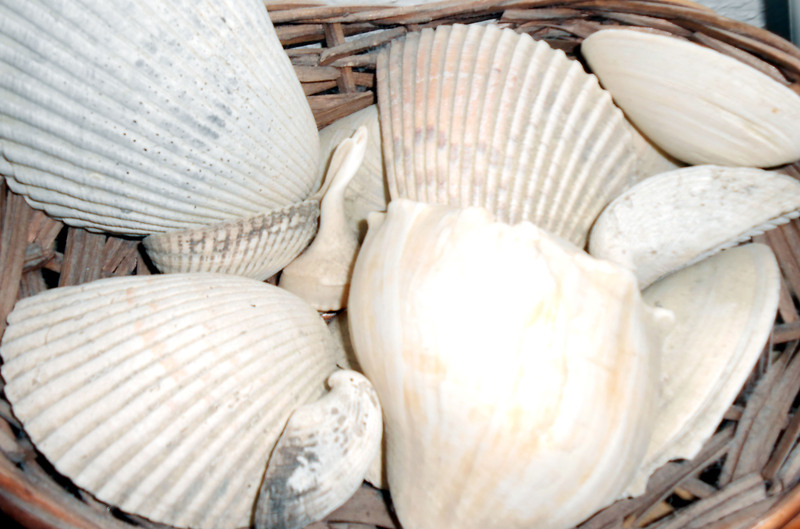 There are a few key things to keep in mind when starting to collect sea shells. First of all it is important to make sure that the shell is no longer occupied since no one wants a surprise hermit crab attack when reaching into their shell sack later. While I have yet to feel the pinch of a hermit crab I have come close a few times. Shells with barnacles and other character elements are another thing that I look for when collecting. 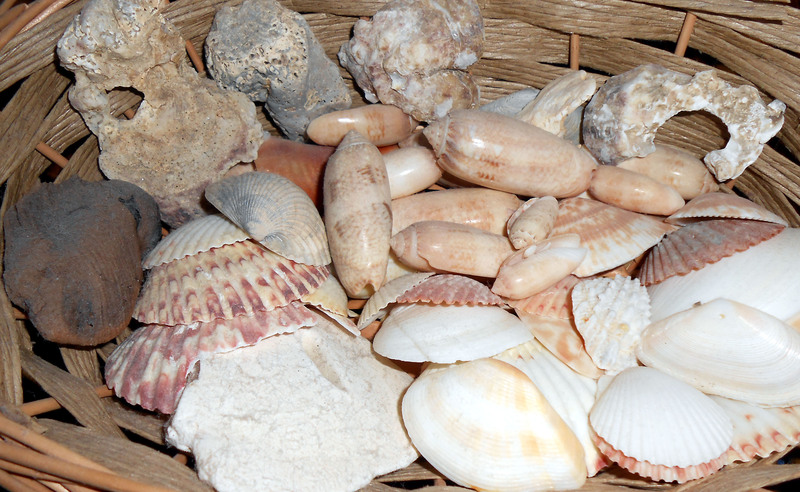 A second key to collecting seashells is to make sure that the shell does not contain any organic material left over from the former inhabitant. There is nothing worse than putting shells in the hotel sink to wash and then waking up in the middle of the night to a horrific stench from a rotten shell in the bunch. 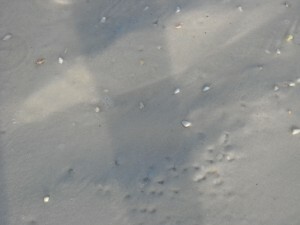 Thirdly, it is best to do the collecting at low tide to minimize the amount of water one needs to fight for the shells. While many seaside stores sell sea shells by the sack full, they are really not the type of sea shell collecting I am referring to. Often times the shells that are sold at the store at the shore are not native to that particular region so that tends to be another reason to steer clear of them. When I am collecting shells I tend to stick with the native shells. I use sea shells in all my decorating. There are countless books and websites available to help one identifying the shells that a specific region is home to. While it is certainly not required to do research ahead of a shell seeking adventure, I find it can be fun to know the types of shells to look for in a certain region. 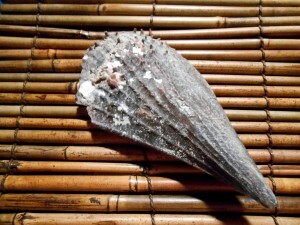 Shells are also categorized as plentiful and rare in certain areas. For an extra challenge I always try to find one of the rare shells for that region as part of my shelling adventures. So for the beginner and the professional shell collector alike, I wish you low tides and good shelling. And be sure to give those metal detector operators plenty of space. 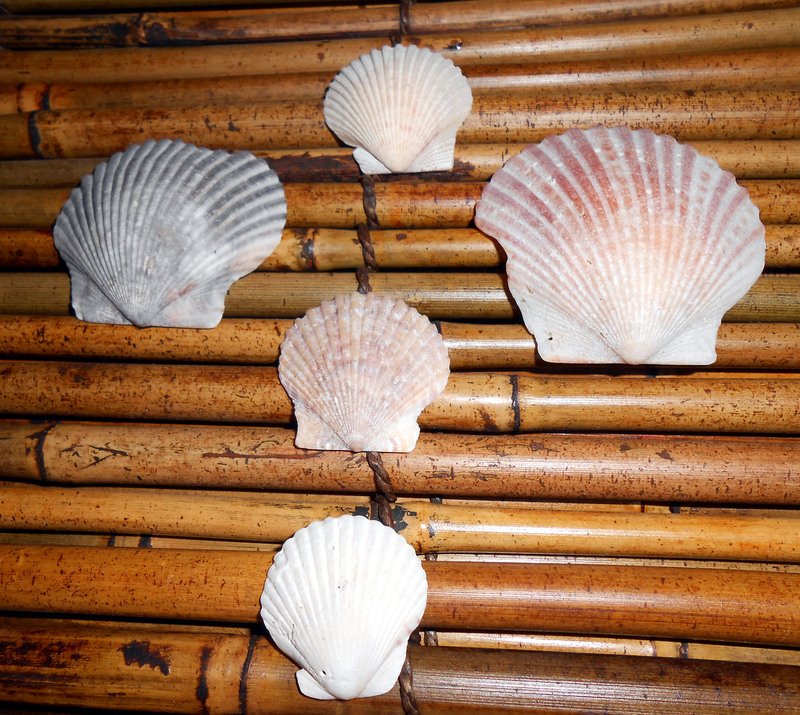 Now if you’ll excuse me I think it is time to plan a trip to the seashore to find some seashells. The other day I decided to watch the World Baseball Classic game between Mexico and Canada. Part of the motivation for watching the game was to try to figure out how it was that Team USA lost to the Mexican team the day before. The other motivation was the fact that I had watched Team Canada play in a tournament in St. Petersburg, FL last year. 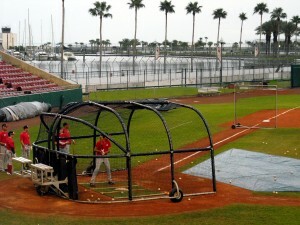 Members of Team Canada take batting practice during a 2012 exhibition game at Al Lang Stadium in St. Petersburg, FL. So as I settled in to watch the game I knew that while there are Major League Players on each of the rosters, the World Baseball Classic plays by international rules which differ from the MLB rules in some areas. One of those rules involves running up the score when possible to help the run differential numbers. In most cases running up the score is frowned upon in sports when the lead is well in hand. In fact, high school and college games include an 11-run mercy rule to help prevent really lopsided scores. Back when I covered high school baseball I actually found myself rooting for the mercy rule to come into play many a night. It wasn’t that I wanted a team to lose by that much, but a shortened game meant that I could get back to the office sooner and in theory get the pages on the press earlier. It did not always work out that way but when it did it was uber nice. So during the Canada versus Mexico game, and with Canada having a very safe lead late in the game, the lead off batter in the eighth inning for Canada dropped down a bunt and reached safely when the third baseman was late to react. There was nothing inherently dirty about the bunt. As mentioned earlier, the tournament was set up to encourage teams to score as many runs as possible. Apparently the third baseman for Team Mexico missed that memo and directed the pitcher to deliver a message to the next better. One international constant in baseball it seems that is understood in every language is the intentional hit batter when a team feels it has been wronged. So, the pitcher hits the batter in the back, the batter takes offense and starts to charge the mound, and both benches clear and partake in an all out brawl. 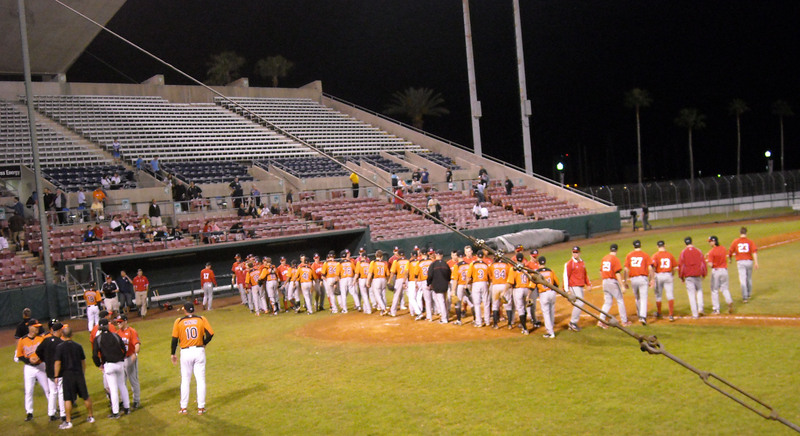 Team Canada and the Baltimore Orioles during a 2012 exhibition game. While not as common as say a fight in hockey, baseball fights do occur now and then. The main catalyst for these fights usually centers on a player getting hit by a pitch. One of the more absurd elements of these fights for me is the sight of the bullpen pitchers running all the way across the outfield to get to the fight, which in many cases has already ended by the time they arrive to participate. The fight between the Canadian and Mexican teams was atypical in the fact that it seemed to last a lot longer than most. Once the teams were finally sent back to their dugouts and the dust had settled, fans of the Mexican team started throwing items into the Canadian team’s dugout. The most glaring of these being a mostly full water bottle that hit one of the coaches in the head. Fans were ejected and the game was finally able to continue with Canada advancing and Mexico getting eliminated from the tournament. While I do not go to a baseball game hoping to see a fight, I know that sometimes emotions run high and tempers flare leading to a dust up like the one at the game the other day. What I have no patience or sympathy for is unruly fans or people trying to get in on the action by throwing things onto the field. For the most part athletes are not looking into the stands, except for Alex Rodriguez trying to get phones numbers, so they are more at risk of not seeing items flying in their direction. These projectiles falling from a long distance can create serious injury. The fan mob mentality of throwing things is not limited to American soil. Soccer is known for the massive riots that erupt oversees. And many of those riots end with people being killed. Seriously, people it is just a game. And there will be other ones so there is no need for people to lose their lives over it. Also, in many of those riots it is innocent people that end up paying with their lives over the action of a few. I have had the opportunity to go to several sporting events that have included Canadian fans, both hockey and baseball. And by and large they are some of the most well behaved and considerate fans I have ever been around in terms of stadium etiquette. Even when they are “heckling” the other team it seems polite and never rises to the level of personal attacks. Now, I am sure that there are bad Canadian fans, just like there are good and bad fans anywhere, but I have yet to see them. My point is not to say that fans cannot get emotional about their teams. Quite the opposite healthy passion for one’s team is at the very heart of sports. What I am saying is that it is possible to be passionate and polite at the same time. If you don’t believe me just try sitting next to some Canadians some time. Now if you’ll excuse me all of this talk about Canada has me in the mood to watch some Bob and Doug McKenzie movies. Forty years ago this week the American League introduced the designated hitter, or DH, and the game of baseball was forever changed. Once the designated hitter was introduced pitchers on the American League ball clubs were no longer burdened with the hassle of having to bat. 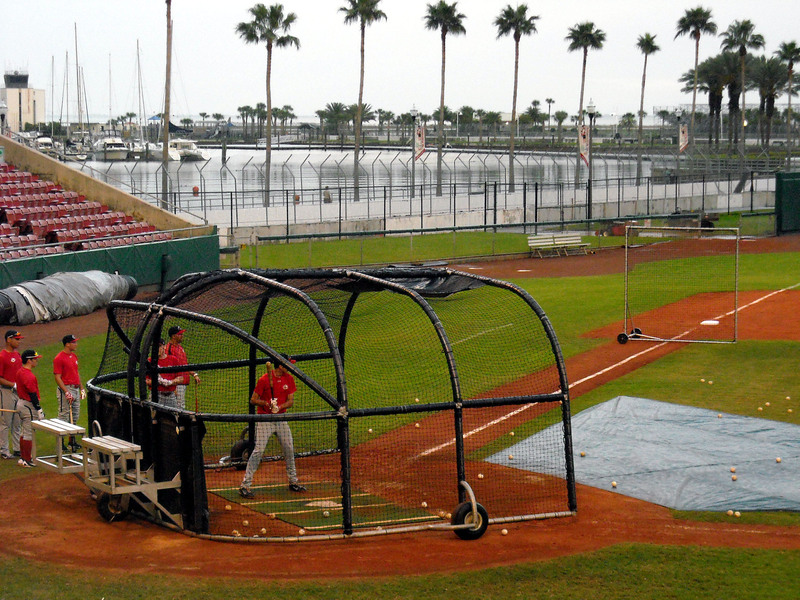 National League pitchers would continue to take their swings at the plate. Of course there are exceptions for when the DH is and isn’t used. For example, during the World Series and Inter League play the rules of when a designated hitter is used depends on the home ballpark. National League home ballparks continue to be DH free forcing the American League pitchers to bat while the American League ballparks use the DH and force the National League teams to designate a DH for those games. Mention the designated hitter in polite dinner conversation and one will quickly find out how divisive the topic really is among fans. The pro designated hitter camp will point to the fact that by eliminating the pitcher as a batter the rallys can continue without the fear of a nearly guaranteed out with a pitcher batting. The foes of the DH rule will say that having pitchers batting, despite the almost guaranteed out they provide, is a truer form of the game and is more historically accurate while creating more cat and mouse strategy between the managers. Former Tampa Bay Rays first baseman Carlos Pena will be the first full time designated hitter in Houston Astros history. I grew up primarily in American League towns so the DH was a common sight for me. It wasn’t until I moved to Houston that I started watching National League games on a regular basis and in turn saw many pitchers at the plate. Of course with the Astros moving to the American League, Houston is now a DH town as well. Having watched both types of games over the years I have to side with the pro DH camp. While it happens infrequently pitchers can get injured batting and running the base paths. With the amount of money that teams spend on their starting pitchers I would cringe as a General Manager of the ball club whenever a pitcher stepped up to bat. And for all of you out there who say surely a pitcher can’t get hurt just trying to bunt or swinging wildly I give you the story of Andy Pettitte. During a feud with the Yankees over money, Houston area native Andy Pettitte decided to take his skills to his hometown Astros when he became a free agent. While this move in turn ended up allowing Roger Clemems to also join the home team Astros it was not without its share of pain for Mr. Pettitte. As a long time pitcher in the American League who did not have to bat regularly, Pettitte injured his left elbow while trying to check a swing in his debut game with the Astros. He missed the next three weeks with a strained elbow. And as a footnote Mr. Pettittie found his way back to the Yankees at his earliest opportunity and while he is still very injury prone he no longer has to bat regularly. Granted Pettitte is one of the more injury prone pitchers in the game and countless pitchers bat each day without hurting themselves but the fact remains pitchers can get hurt at the plate. 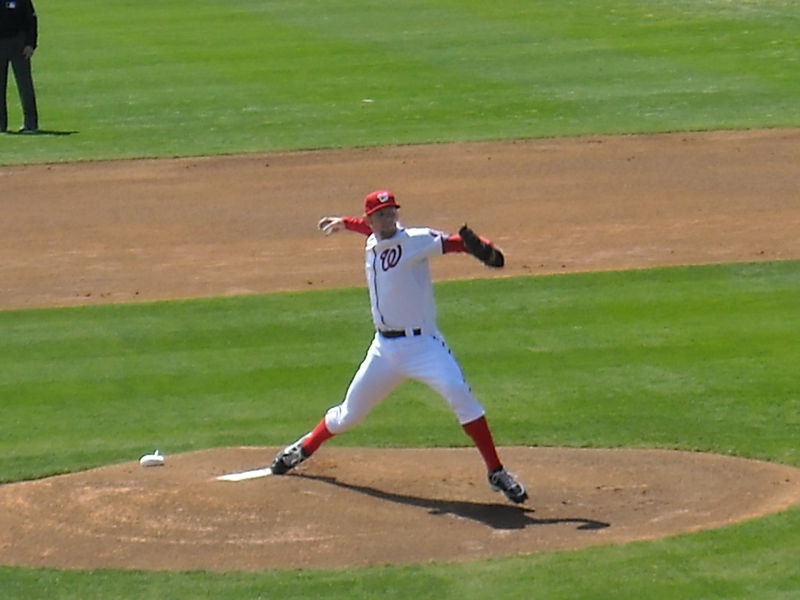 With all of the money they are paying Stephen Strasburg the Washington Nationals can ill afford to lose him to an injury. Strasburg’s injury risk, like that of other National League pitchers is increased by the fact that he has to bat as well as pitch. Risk of injury to the pitcher is far from the only reason why I think that the day of pitchers needing to bat has come and gone. Watching a National League game where the pitchers bat is definitely not for everyone. With few exceptions if there is a runner on base when the pitcher is up you know that they are going to try a sacrifice bunt to move the runner over. If there is not a runner on base you know that the pitcher is most likely going to strike out within three pitches. There are certainly exceptions to the rule and some pitchers can hit. But, by and large when a pitcher is up to bat everyone in the stadium knows that the at bat will result in an out one way or the other. Of course the manager can choose to pull the pitcher out of the game and put in another better if he wants to sustain a scoring rally but that means the pitcher is out for the game and another pitcher will have to be brought in. With the designated hitter in place, teams are not forced to choose between a pitcher having a good day on the mound or the need for a hot bat at the plate to drive in some crucial runs. Another factor that has developed during the 40 years of the era of the DH is the lengthening of player careers. No, I am not talking about the use of performance enhancing drugs as a means to extend a player’s career. I am talking about the ability to DH as a magic fountain of youth that has extended many careers past their normal expiration dates. Former Houston Astros pitcher Wandy Rodriguez is one of the few pitchers with actual pop in their bat. When older players can no longer play the field regularly they can make a very decent living as a DH as long as they can still make regular contact with the ball. It is not uncommon to see players prolong their careers well into their 40’s in a DH only role. So who is right, and who is wrong when it comes to the DH? The answer will continue to depend on the person who asks the question. I do not see a time in the near future where the DH will go away anymore than I predict a time when the National League will start using them in their home ballparks. So, it will continue to divide people like Coca-Cola and Pepsi. One is certainly sweeter than the other but it all boils down to which one tastes better going down to the person drinking it. Now if you’ll excuse me, all of this talk about soft drinks has left me a little thirsty.